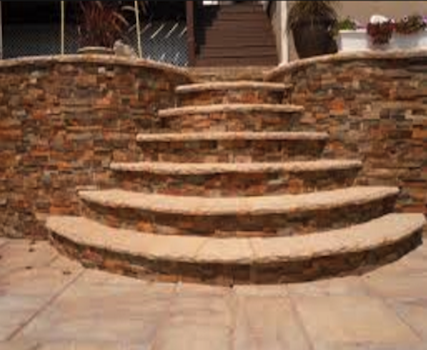 If your property has land with changes in elevation, and you need or want to use that land to connect to outdoor spaces or create entry ways into your home, then you will need either stone or brick steps installed. ​At Nashville Brick Mason, our steps can be both functional and beautiful, and of course our steps are constructed with the same top-quality workmanship found in all of our services. There are techniques and problem solving skills that only come from experience, and our brick step installation contractors in Nashville have the experience to deliver the results you want; the kind of results that can only come from expert craftsmanship, the kind of results that will make your neighbors say “wow”. Nashville Brick Mason are the leaders in masonry in the Nashville area and can construct quality, lasting, steps that will not only improve your landscaping and assist in walkability throughout your property, but will look stunning as well. All this adds up to what makes Nashville Brick Mason the highest quality step installers in the area. Our robust design and building processes is what sets us apart from other contractors. The excavation, leveling, and steel reinforcement is what allows us to guarantee our results. It’s common for cheaper quality contractors to skip steps, to simply use stone blocks laid on top of sod and forgo the steel reinforcing. These blocks will rapidly degrade over a short time due to water and moisture damage. The mortar between bricks and in joints will decay and crack, as will the veneer. This is what will happen from other contractors with their inferior construction, instead of an attractive set of steps into your home you’ll have nothing but a pile of bricks. Nashville Brick Mason will construct quality steps that will not decay quickly, will withstand weather and moisture, and last for years to come. While we do instal custom and beautiful steps, we also can repair your existing steps. When we do service repairs, we are usually repairing other contractor’s shoddy work. 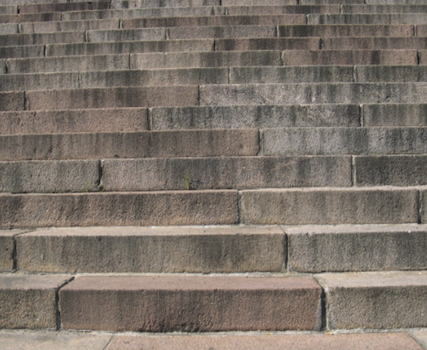 We rarely have to repair our own steps, and have seen the common shortcomings found in other contractor’s work. Our services won’t break the bank either, we can repair steps for a fair cost and instal steps in a design that fits your budget. While we are experts in masonry, we are also experts in customer service. Our patient staff will listen to your needs to make sure you are satisfied. So call now to get started!